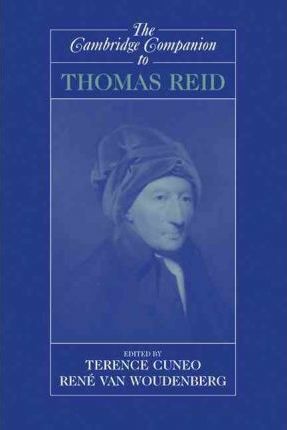 Widely acknowledged as the principal architect of Scottish common sense philosophy, Thomas Reid is increasingly recognized today as one of the finest philosophers of the eighteenth century. Combining a sophisticated response to the skeptical and idealist views of his day, Reid's thought stands as an important alternative to Humean skepticism, Kantian idealism and Cartesian rationalism. This volume is the first comprehensive overview of Reid's output and covers not only his philosophy in detail, but also his scientific work and his extensive historical influence. Introduction; 1. Reid in context Alexander Broadie; 2. Thomas Reid and the culture of science Paul Wood; 3. Reid on common sense Nicholas Wolterstorff; 4. Reid's theory of perception James Van Cleve; 5. Reid's reply to the skeptic John Greco; 6. Nativism and the nature of thought in Reid's account of our knowledge of the external world Lorne Falkenstein; 7. Reid and the social operations of mind C. A. J. Coady; 8. Reid on memory and the identity of persons Rene van Woudenberg; 9. Reid's theory of freedom and responsibility William L. Rowe; 10. Reid's moral philosophy Terence Cuneo; 11. Reid's philosophy of art Peter Kivy; 12. Reid's philosophy of religion Dale Tuggy; 13. Reid's influence in Britain, Germany, France and America Benjamin Redekop.